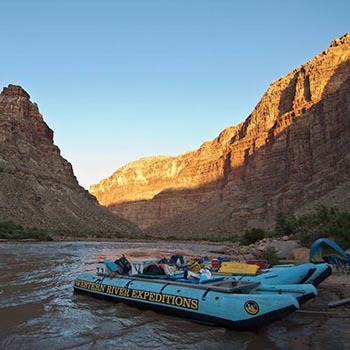 Travel the same 100+ miles through Cataract Canyon, but in half the time! 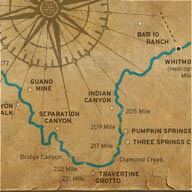 This means you'll spend only one night in the canyon. 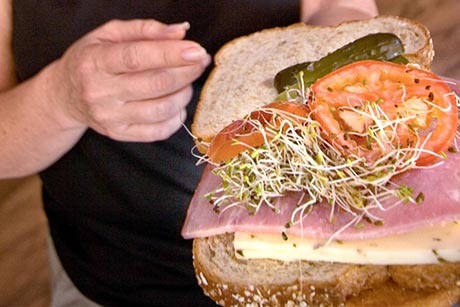 We will prepare meals that will delight, and provide every essential for your camping experience. 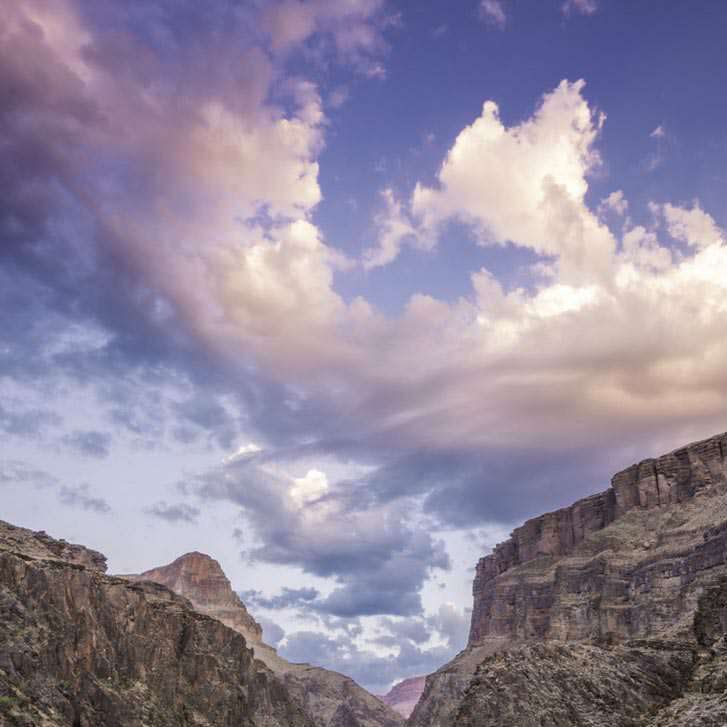 After one night in the canyon, you will no doubt want more! Freshly laundered sleeping bags and sheets provide warmth on cool evenings. 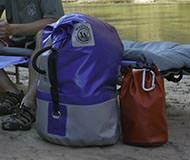 You'll receive your personal sleeping bag upon arrival to the river. 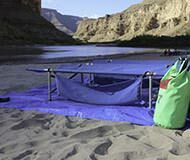 Cots make sleeping and relaxing on the river easy. 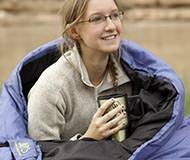 You'll lay your sleeping bag on top of the cot and sleep about 12 inches off the ground. Tents are always available and easy to set up. You may be like many of our river guests who prefer to sleep under the vast canopy of stars. 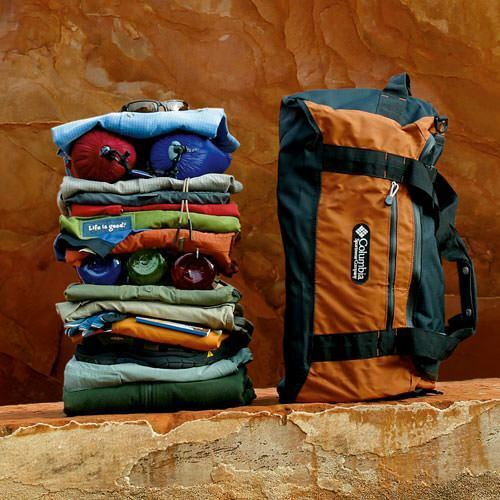 Your personal water-resistant bag will protect your duffel bag, sleeping bag and other personal items from exposure to sand and water. A smaller, personal day-use bag keeps important items handy during the day. 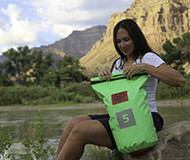 This offers a convenient place to store rain gear, sunscreen, medication, etc. 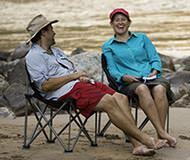 Camp chairs offer comfortable seating along the river's edge. 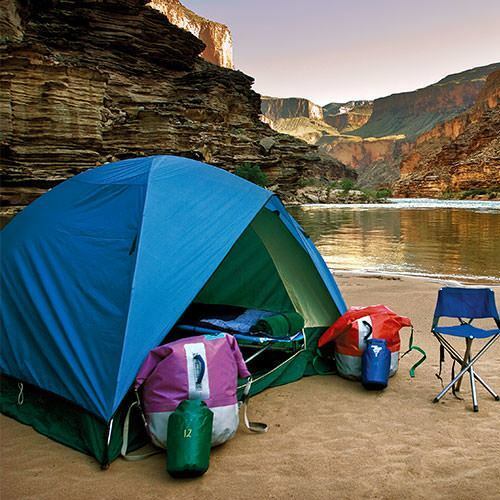 Camp chairs are stowed away while on the river and available while in camp. 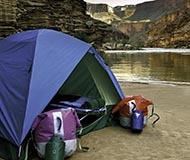 A ground cloth keeps your gear and camping areas clean. This can be placed under your tent or cot at night. A portable toilet and hand wash system is set up each day in camp in a secluded location that assures privacy. 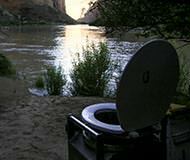 Western uses a "porta-potty" system that is set up each day in a secluded location that assures privacy. This is essentially a toilet without the fancy plumbing and is available from the time you pull into camp each afternoon until you leave camp the next day. Along with the toilet, a system to wash your hands with fresh water will be available. Steaming coffee provides welcome warmth to counter the cool sand between your toes. You might think you're still dreaming when you see plates of steaming flapjacks, fresh fruit and scrambled eggs, but it's the way every morning on the river begins. Western's guides are not only trained river professionals, they're talented campfire cooks as well. And Western always serves fresh food on all river adventures. A wonderful selection of fresh meats and cheeses, delicious breads, along with crisp vegetables and a variety of spreads satisfy hearty lunchtime appetites after a morning in the canyon. Tasty chicken and veggie wraps or perhaps chicken salad pitas may also be part of Western's mid-day buffet. 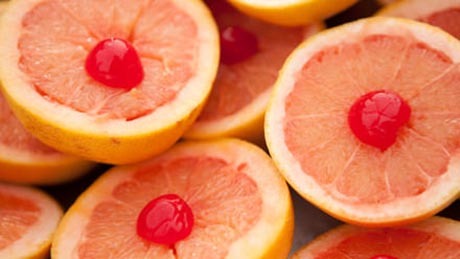 At all times, unlimited quantities of icy lemonade and fresh water are available to quench your thirst. While you enjoy delectable appetizers and relax and at the river's edge, the guides prepare a dinner that is sure to surprise and please. 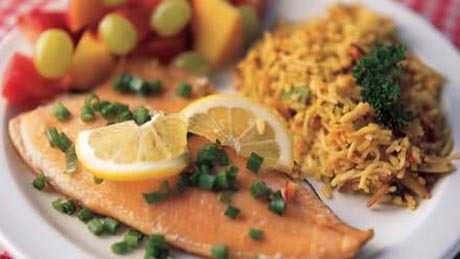 The evening menu can include grilled chicken breasts, tender steaks, pasta, or fresh fish accompanied by tossed green salad with your choice of dressing, vegetables, and side dishes. Dutch-oven cake and cobblers or other scrumptious desserts deliciously top off the evening meal.